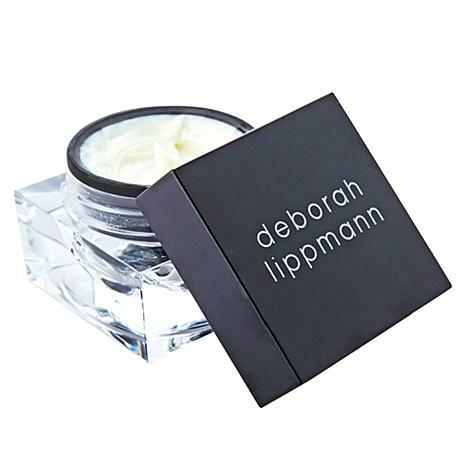 Deborah Lippmann The Stripper 4 oz. Are your cuticles the forgotten heroes of your hands? Always ignored? Never shown the love they deserve? Show them you care with this ultra-nourishing cuticle cream, and they'll finally receive the recognition they deserve. Ingredients: WATER/AQUA/EAU. C12-20 ACID PEG-8 ESTER. BUTYLENE GLYCOL. HYDROXYSTEARIC/LINOLENIC/OLEIC POLYGLYCERIDES. BUTYROSPERMUM PARKII (SHEA) BUTTER. COCO-CAPRYLATE/CAPRATE. CAPRYLIC/CAPRIC TRIGLYCERIDE. GLYCERYL STEARATE. CETYL ALCOHOL. NIACINAMIDE. GLYCERIN. CYCLOPENTASILOXANE. PHENOXYETHANOL. POTASSIUM CETYL PHOSPHATE. SACCHARIDE ISOMERATE. CARBOMER. CITRUS AURANTIUM DULCIS (ORANGE) FRUIT EXTRACT. ETHYLHEXYLGLYCERIN. PANTHENOL. TOCOPHERYL ACETATE. SODIUM HYDROXIDE. DIMETHICONOL. DISODIUM EDTA. PARFUM (FRAGRANCE). CHONDRUS CRISPUS POWDER. BUTETH-3. ASCORBYL TETRAISOPALMITATE. SODIUM HYALURONATE. SODIUM BENZOTRIAZOLYL BUTYLPHENOL SULFONATE. RETINYL PALMITATE. PEG-8. CITRIC ACID. SODIUM CITRATE. TOCOPHEROL. RUBUS IDAEUS LEAF CELL CULTURE. TRIBUTYL CITRATE. ASCORBYL PALMITATE. NICOTIANA SYLVESTRIS LEAF CELL CULTURE. ASCORBIC ACID. YELLOW 5 (CI 19140 ). This is a great cream. Apfter applied your hands will thank you. It feels really luxurious and effective. The cream moisturizes cuticles and helps maintain nails. The best I have found. Product expensive but willing to pay and now have on autoship. This product is the only one that works effectively for me (and I've tried many). 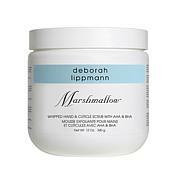 Deborah Lippmann boasts about her products being good for your nails. I hope so because I use them! Keep this one on my nightstand when skin around nails gets really dry and it works great! Thanks, Deborah! One request....would you make a larger container of these please? BTW, I enjoy watching you on the Beauty Report. You always looked good but lately you are looking even prettier. I have very dry, rough cuticles. 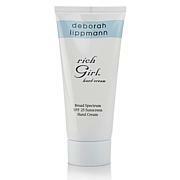 This cuticle cream is the very best I have ever used, and I've tried many different ones. It is rich but not greasy. Cannot say enough good things about this product. I can really tell a difference if I miss a day or two. I also use the cuticle remover and oil from Deborah Lippman. This product is excellent, It is worth the $25.00, your nails and cuticle looks amazing after you use it. There is no other product like this one outside.